Welcome to the genuine toroflux®! 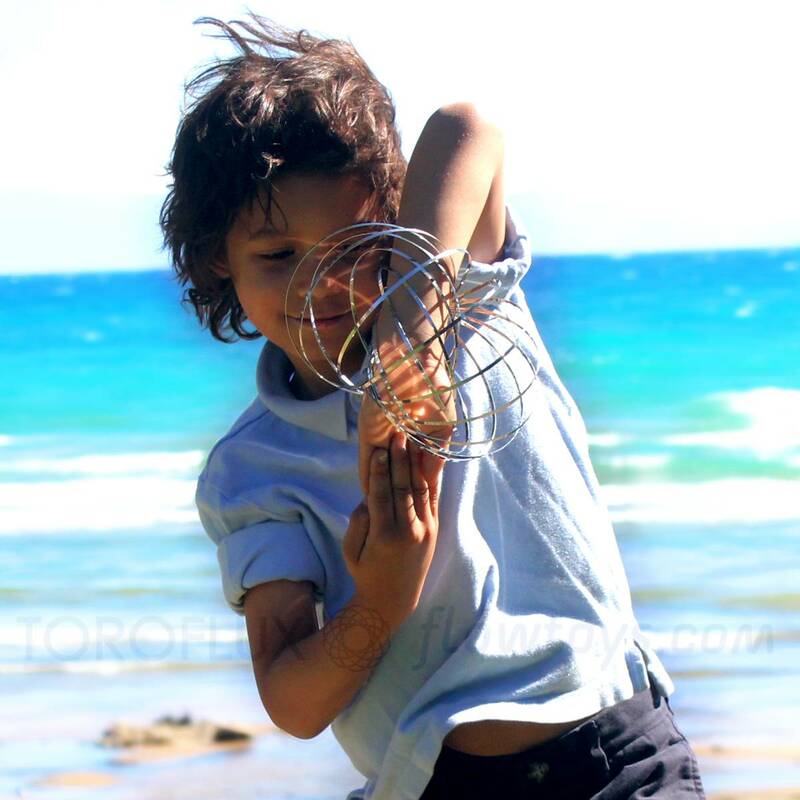 The kinetic spring toy that is loved by everyone from 9 to 99 years. 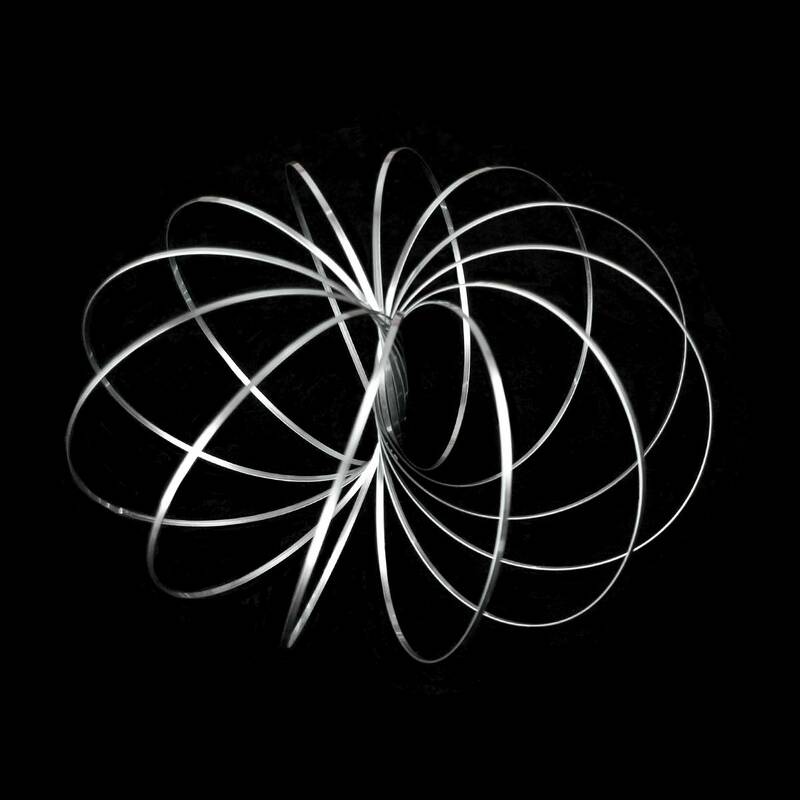 fun interactive "flow toy" that's like a 4th dimensional "slinky"
Support the original toroflux - don't be fooled by imitators! 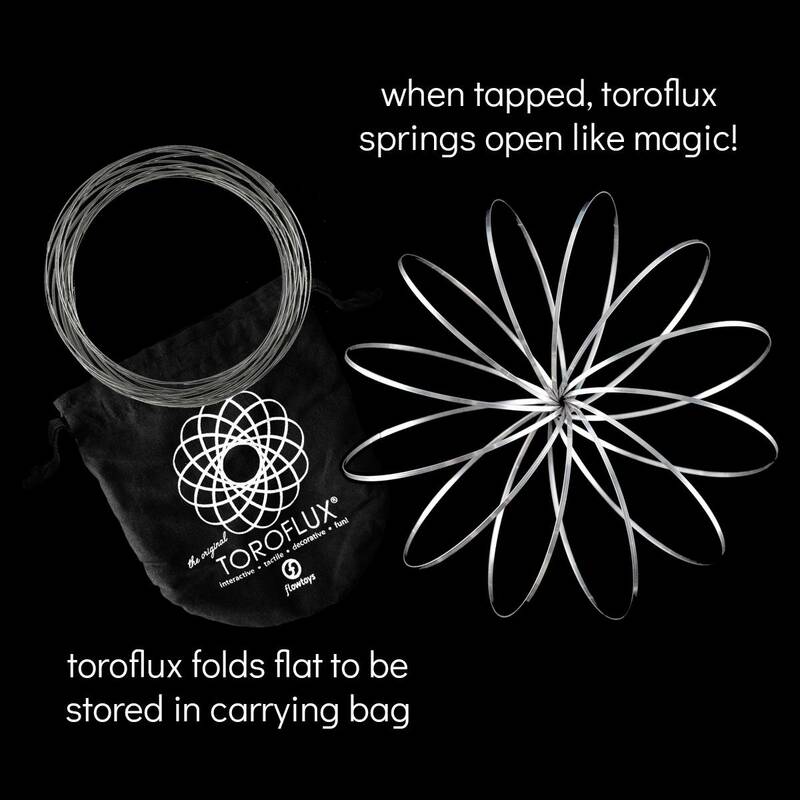 Important: The toroflux is made of a single strand of thin metal. 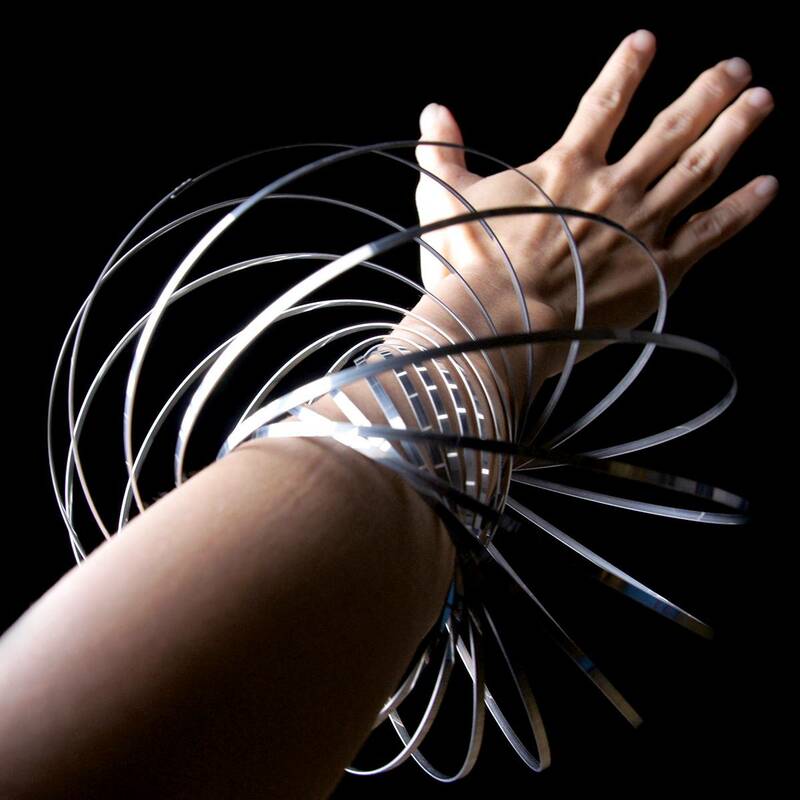 If it's bent or if one or more of the coils is pulled hard or roughly, it can deform and will not handle as designed. Please note we cannot replace torofluxes that have been misused or deformed for free. 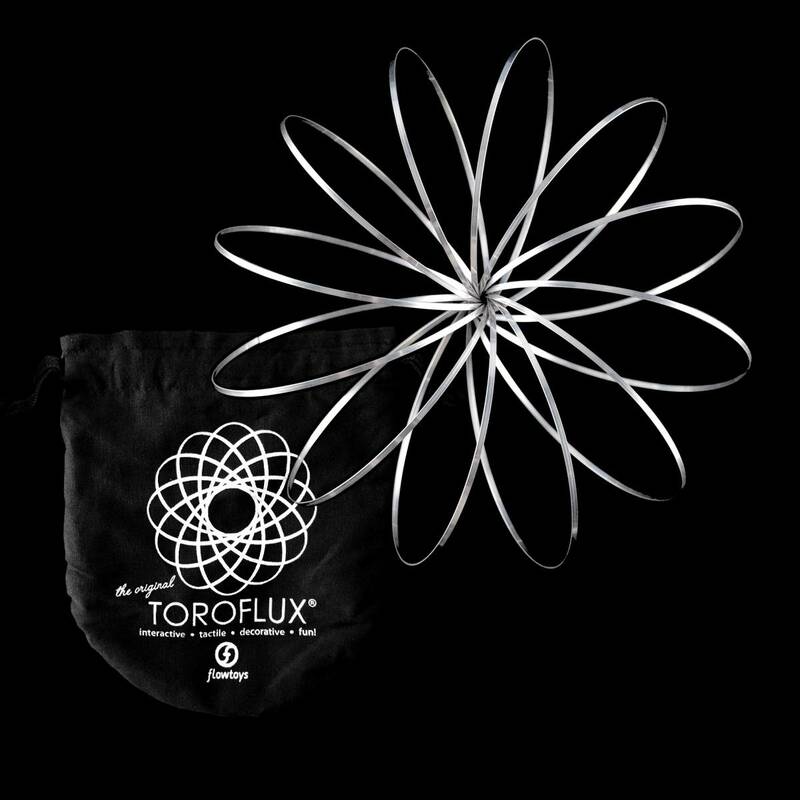 However our warranty applies and you can send back a kinked toroflux for a half-price replacement. 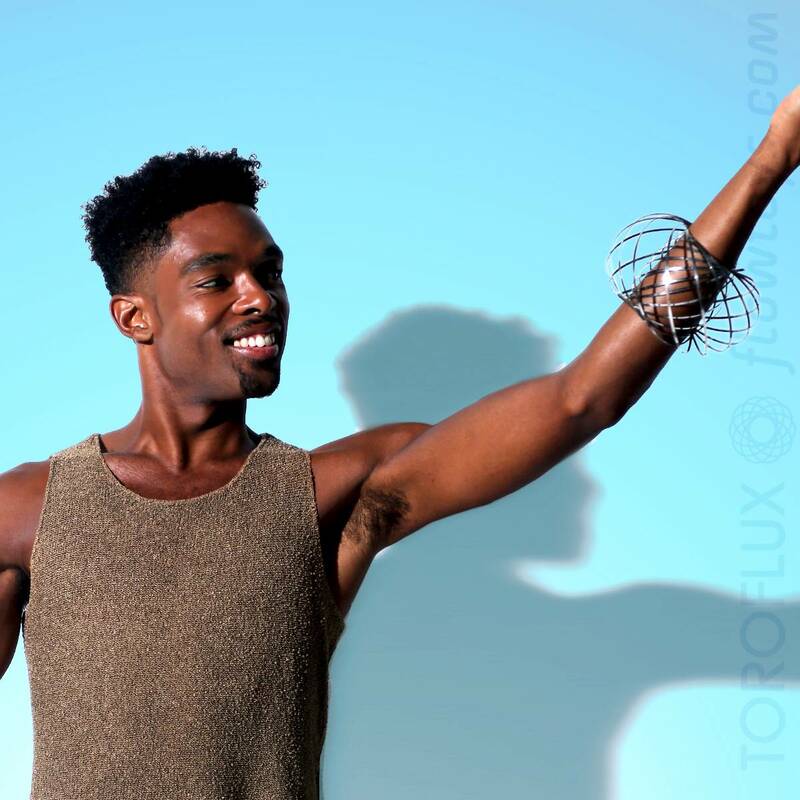 I love my toroflux to the moon and back! !